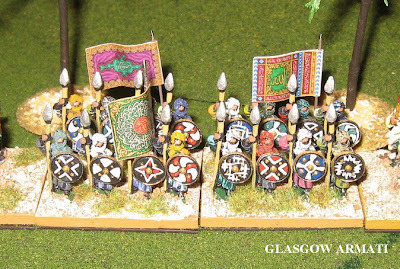 Following an increasing level of interest from members, the Society of Ancients will be running its Wargames Championship again, in 2009. Once so well established, amongst ancients players, it was known simply as The Championship. Technology has now opened more opportunities for interaction and enjoyment through the Society's website, its Yahoo Group, and members' personal blogs. 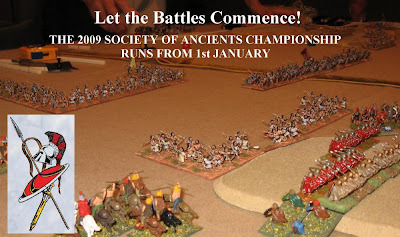 Current members of the Society of Ancients are encouraged to contribute their ideas about the Championship to the organisers through the website, or in debate with members through Slingshot and the mailing list.